Banana Smoothie, a simple yet delicious beverage that can make hot summer seem cool and breakfast healthy, is rich in calcium, potassium, fiber and energy. This easy recipe prepares one of the best smoothies ever as it uses ice cream and cashew nuts in addition to banana, milk and yogurt, which gives it a creamy, rich taste and texture. 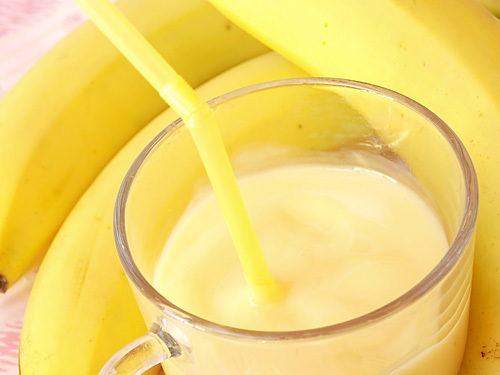 Add chopped bananas, milk, yogurt and sugar in a blender jar and blend until smooth. Add ice cubes and vanilla ice cream; blend on high speed for 1 minute. Add cashew nuts in prepared smoothie and stir well. Pour it into serving glasses and serve with a large straw. Do not use over ripe and mushy or unripe banana to make smoothie. Use frozen banana if available. Add more milk and ice if you do not like creamy texture. If you want to make it a bit healthier, then replace sugar with honey. Taste: Sweet and smooth taste of banana and vanilla ice cream. Serving Ideas: It can be served in the breakfast or in afternoon as a healthy stomach feeling beverage. 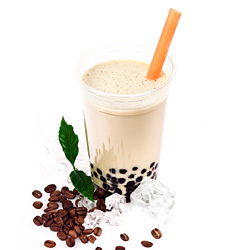 It can also be served as a party drink or welcome drink in functions. All of the recipes look great and tasty. What if we don\'t have vanilla yogurt? Response: You can add plain yogurt instead of vanilla yogurt or increase the quantity of ice-cream to 3-scoops.